One of the earliest time-saving tricks I learned as a Nephrology fellow was to always ask the covering housestaff to have a specimen of piping hot urine waiting for me at the time of the initial consult: I was trained to do a urinalysis on all patients on whom I am called to see. While I have been impressed with its usefulness of several occasions, there is surprisingly little standardization for the technique, and not a lot of literature providing objective criteria for diagnosis. A recent study in C-JASN by Perazella et al looked at the ability of the urinalysis to distinguish between ATN versus pre-renal AKI on 267 consecutive inpatients with AKI in the Yale-New Haven Hospital system on whom a renal consult was called. Participating nephrologists were asked to assess a cause of either "ATN", "pre-renal", or "other" at two different time points: (1) just after history & physical but before microscopy diagnosis, and (2) after patient discharge or death. As biopsies were not done in this study, the 2nd & final diagnosis--based on clinical judgement--was the "gold standard." The urinalysis itself was carried out in a standardized fashion and a scoring system based on the number of casts or renal tubular epithelial cells (RTECs) was developed. Not surprisingly, patients with a high "urine sediment score" (indicating many casts or RTECs) had a high rate of ATN as a final diagnosis while those with lower scores were more likely to have pre-renal AKI as a final diagnosis. While this is not groundbreaking, what is worthwhile about this study is that (a) they prove that the urinalysis is a valuable tool for diagnosis by showing that a significant number of patients had their diagnosis changed following urinalysis, and (b) they tackle this problem in a systematic fashion. 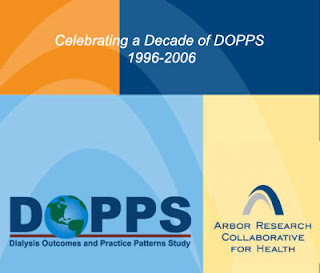 DOPPS is an acronym which stands for "Dialysis Outcomes and Practice Patterns Study." It is one of the largest prospective study of ESRD patients worldwide and is comprised of a random sampling of dialysis patients in a random sampling of dialysis units in multiple countries, including the United States. DOPPS-related research has led to dozens of peer-reviewed publications and will undoubtedly involved in many more. One example of the usefulness of DOPPS research has been settling the question of whether non-white minority groups do better on dialysis than whites. Multiple previous epidemiologic evidence had shown an apparent survival advantage of such minority groups compared to whites. However, using the DOPPS database and a careful multivariable proportional hazards analysis, researchers determined that in fact there is no significant survival advantage on dialysis for any major ethnic group; the reason that African-Americans appear to last longer while on dialysis than whites is in part explained by their lower age and decreased comorbidities upon starting dialysis. Fabry's Disease is an X-linked disease caused by a mutation in the alpha-galactosidase A gene, resulting in the accumulation of glycosphingolipids within lysosomes. In the kidney under electron microscopy, this is manifested as the presence of multiple round "onion-skin" inclusion bodies (see EM on the left). It presents clinically with renal failure (preceded by proteinuria, lipiduria, and variable hematuria), cutaneous angiokeratomas (see below), painful paresthesias of the hand (acroparesthesias), and early CAD. As it is X-linked, it occurs mostly in boys; however, females may have a mild form of the disease. In recent years, the biotech company Genzyme has developed an injectable form of the missing enzyme, marketed under the trade name "Fabrazyme." Although successful, it comes at a cost of approximately $170,000 a year for a single patient, a significant barrier to many patients without insurance. 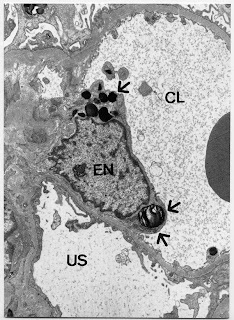 The glomerular filtration barrier is traditionally thought of as being comprised of 3 layers: (1) the fenestrated endothelium, (2) the glomerular basement membrane, and (3) the podocyte foot processes. 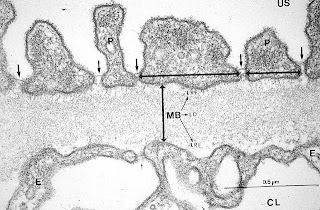 Focusing on (2) the glomerular basement membrane (GBM), this structure is typically 330-460 nm in thickness and can be further subdivided into 3 additional layers: (a) the lamina densa (LD, in figure, the middle lyaer), (b) lamina rara interna (LRI, in figure, the "subendothelial layer" closest to endothelium), and (c) lamina rara externa (LRE, in figure, the "subepithelial layer" closest to the podocytes.). In terms of molecular components, the GBM is comprised of type IV collagen, heparin sulfate proteoglycan, and laminin. Important diseases of the GBM specifically include Alport's Syndrome, thin basement membrane disease, and anti-GBM (e.g., Goodpasture's) Disease to name a few. Why is there a picture of a toad on the Renal Fellow Network? In reading the most recent edition of ESRD/Dialysis "NephSAP" (the ASN's periodic review of relevant nephrology-themed literature), I learned about an unusual cause of hyperkalemia: toad skin. In Southeast Asia, toads may be used as food, and in some Chinese traditional medications toad venom extract may be an ingredient. Toad skin in particular is particularly rich in bufadienolides, molecules which are similar in structure to digitalis, and thereby induce toxicity due to inhibition of the Na-K ATPase. Individuals with toad-skin toxicity may present with arrhythmias and hyperkalemia and CKD/ESRD patients would be especially susceptible to these effects. In addition to standard treatments for hyperkalemia, this can be managed with high-dosage administration of digoxin-specific Fab fragments, much like digoxin toxicity. The Hemoglobin A1c has proven to be one of the most utilized and helpful tests in the management of diabetes. 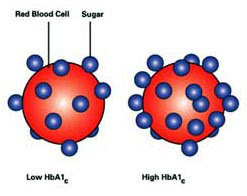 Instead of relying on random blood sugars to adjust a diabetic's insulin regimen, the HgbA1c (which increases in the setting of poorly-controlled diabetes due to increased glycosylation of hemoglobin molecules in red blood cells, which have a half-life of 120 days) provides a more long-term and balanced view on glucose control. However, there are some serious caveats to its use in dialysis patients. Because erythropoietin-stimulating agents will increase the proportion of young RBCs in the circulation, the HgbA1c significantly underestimates glucose levels in diabetic patients. This appears to be true across a wide range of glucose concentrations. It is probably more accurate to rely on serial serum glucose readings to help manage insulin regimens for ESRD diabetics, and there is also some data on the use of glycosylated albumin in the monitoring of this population. As diabetes is now the most common cause of ESRD in the U.S. and many patients rely on their nephrologist as their primary care doctor, this is an important finding. Ototoxicity--which can occur via both auditory and vestibular mechanisms--is one of the major side effects of aminoglycoside use, particularly in dialysis patients. A recent paper looked at N-acetyl cysteine (NAC) as a potential strategy for preventing ototoxicity in dialysis patients. In this study, HD patients who were being treated for catheter-associated bacteremia were randomly assigned to either 600mg of NAC versus placebo. Of the 40 patients who received gentamicin for > 2 weeks, those who received NAC had a 42% reduction in ototoxicity as assessed by serial audiometric evaluations. Given the relatively low cost and low side effect profile of NAC, it seems reasonable to use this strategy for preventing aminoglycoside-induced ototoxicity. 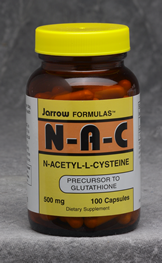 Of note, NAC has proved to be quite a versatile drug--already being used as a mucolytic agent, a drug which allegedly prevents nephrotoxic injury from iv contrast, and as an invaluable tool for treating Tylenol overdose. Potter's Syndrome--perhaps more accurately referred to as Potter's Sequence as it refers to the pathophysiologic consequences of lack of kidney function in utero--is characterized by absence of renal function, oligohydramnios, pulmonary hypoplasia, and a characteristic "Potter's facies", in which there is a flattened nose, recessed chin, prominent epicanthal folds, and low-set abnormal ears. In addition to other serious cardiovascular, ophthalmologic, and skeletal malformation, Potter's Syndrome also occurs frequently with sirenomelia (a.k.a. 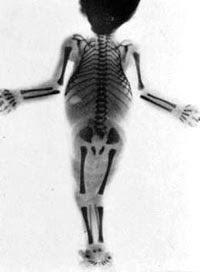 "mermaid syndrome", as pictured in the X-ray above. Any form of severe renal dysfunction in utero can be the root cause of Potter's Syndrome. More common causes include bilateral renal agenesis, autosomal recessive polycystic kidney disease, and congenital obstruction/hydronephrosis. When the kidneys do not produce urine, there is oligohydramnios (since fetal urine production accounts for the majority of amniotic fluid during the 2nd and 3rd trimesters of pregnancy). Since amniotic fluid is also responsible for proper alveoli expansion, these patients commonly get pulmonary hypoplasia and potentially serious respiratory problems at birth. The syndrome is named after pathologist Edith Potter, who initially characterized this sequence of events. However, there is some confusion as to what to do with patients who are EPO-resistant despite having apparently "adequate" iron stores based on the values above. Using ferritin as a marker for iron stores has some caveats associated with it, as ferritin is upregulated during inflammation and thus may underestimate the degree of functional iron deficiency in a dialysis patient. Renagel (sevelamer hydrochloride) is one of the most utilized phosphate binders in the U.S., though its superiority compared to other (and cheaper) phosphate binders remains controversial. 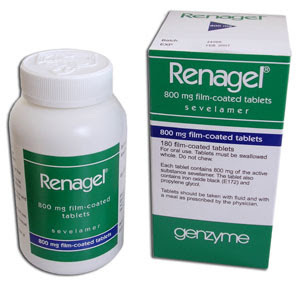 One of the theoretical benefits of using Renagel is that it should not contribute to hypercalcemia, a possible side effect of the common calcium-containing phosphate binders (e.g., calcium acetate, calcium carbonate), which could possibly contribute to the increased vascular calcification seen in ESRD patients. One of the drawbacks of using sevelamer hydrochloride--particularly in advanced CKD patients who have not yet reached dialysis--is its tendency to cause a metabolic acidosis, based on the hydrochloride moiety which forms the salt. To get around this, the drug company (Genzyme) has manufactured another form of sevelamer, this time conjugated to carbonate. The drug (sevelamer carbonate) is being marketed under the name "Renvela". We'll see how it works. 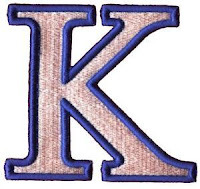 The constant "K" pops up in many forms in nephrology, particularly in the realm of dialysis, as each dialysis membrane has its own characteristic K values. There is first and foremost the Kt/V equation, the currently accepted standard for determining dialysis adequacy. K here is the dialyzer blood water urea clearance, and in practice one calculates the Kt/V for dialysis patients by measuring their blood urea concentration both before and after dialysis. Next we have the K(oa), the dialysis mass transfer area coefficient, which describes the efficiency of a given dialyzer in terms of its ability to remove solute. The K(oa) may be thought of as the maximum possible clearance by a dialyzer at infinitely large blood and dialysate flow rates. K(oa) values are traditionally reported in cc/min; standard dialyzer K(oa) values are typically 500-700 cc/min with "high efficiency" dialyzers (not to be confused with "high flux" dialyzers--see below) having K(oa)'s > 700 cc/min. The K(uf) is the ultrafiltration coefficient, and it describes the ability of a given dialyzer to remove fluid at a given transmembrane pressure gradient per unit time. Dialyzers with a high K(uf) (e.g., >20 cc/hr/mmHg) are considered "high flux" dialyzers, and these may be especially helpful in patients with large intradialytic weight gains. We prescribe them with abandon to our CKD and ESRD patients...Nephrocaps, Renavit, whatever you want to call it. How many nephrologists do you think are able to name all the ingredients in this vitamin-containing tablet? The not-so-secret ingredients: nephrocaps consist of vitamins B1 (thiamine), B2 (riboflavin), B6, B12, folic acid, niacin, pantothenic acid, biotin, and a small dose of vitamin C.
You will note that these are all water-soluble vitamins. 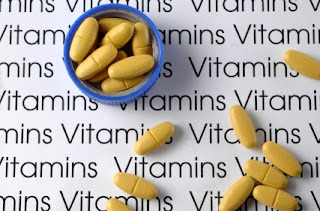 The fat-soluble vitamins (A,D,E, & K) are generally not a problem in ESRD patients (with the obvious exception of vitamin D, whose activated form is produced in the kidney) as the body has adequate stores of these and in fact supplementation with vitamin A, for instance, can cause toxicity. ESRD patients are often deficient in water-soluble vitamins for a number of reasons: poor oral intake, restricted protein diet, and the fact that many of these are dialyzed off during treatment. Nephrocaps are designed with these losses in mind. A relatively new immunosuppressant agent--originally approved for treatment of refractory rheumatoid arthritis but now gaining steam as an anti-rejection medication for kidney transplant recipients--is abatacept (marketed under the trade name Orencia by Bristol-Myers-Squibb. Its mechanism of action is based on the idea of T-cell costimulation, a pathway which will likely be the target of further immunosuppressive drugs of the future. Under normal conditions, full T-cell activation requires (a) binding of the T-cell receptor to the antigen-MHC complex on the antigen-presenting cell, and (b) a costimulatory signal--with two of the important molecules responsible for this signal being CD28 (expressed on T-cells) and B7 protein (expressed on antigen-presenting cells). 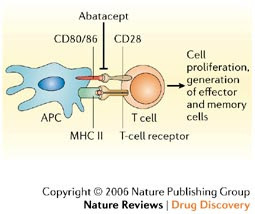 Abatacept is a fusion protein comprised of an IgG fused to the extracellular domain of CTLA-4 (essentially a subtype of CD28, which binds to B7). The addition of this soluble B7 binder outcompetes the endogenous costimulatory interaction, and as a result, T-cell activation is prevented. Not all dialysis units use "the crit-line", and its utility remains somewhat controversial. As an example, in our fellowship program, one of our hospitals (Mass General Hospital) believes in the use of the crit-line, whereas the other (Brigham and Women's Hospital) does not. What is the "crit-line" and how is it useful? The crit-line is a device built into dialysis machines which monitors absolute hematocrit and oxygen saturation. It works by attachment of a small cuvette to the arterial side of the dialyzer which, via optical measurements, determines the hematocrit concentration. 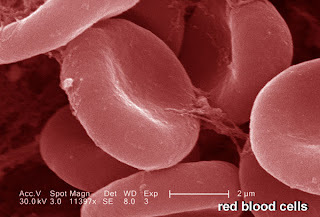 Assuming that the red blood cell mass stays constant during dialysis (e.g., in the absence of blood transfusion), the hematocrit will change only as a result of changing blood volume, a characteristic that may be very useful in determining fluid status. Thus, as fluid is being removed, the hematocrit will increase and vice versa. The readout on the screen is that of percent blood volume change. If the crit-line goes down rapidly (as in the cartoon) you might be concerned that you are being too aggressive with the ultrafiltration rate, and you may need to increase that patient's dry-weight. In contrast, a crit-line which stays relatively constant throughout the dialysis treatment suggests that there is still fluid available for removal, and that patient's dry-weight may need to be lowered. The benefit in using crit-line monitoring is therefore to avoid intradialytic hypotension and to help determine dry weight. It can also be used to determine access recirculation, and there is recently some suggestion that it may help in more accurate EPO dosing. One of the rare but serious side effects of recombinant erythropoietin therapy is the possibility of pure red cell aplasia, an autoimmune condition in which antibodies against erythropoietin result in T-cell-mediated destruction of erythroid precursors. 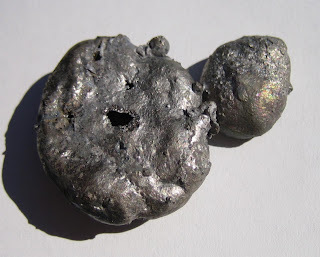 It may be recognized by an escalating EPO requirement and need for transfusions despite adequate iron stores. It has been reported much more frequently in Europe (with a formulation called Eprex, not used in the U.S.) and is thought to be at least partially due to the practice of subcutaneous administration there rather than in the U.S. where intravenous EPO therapy, for reasons of reimbursement, is the rule. The diagnosis of pure red cell aplasia requires a bone marrow biopsy which demonstrates a lack of erythroid precursors with a preservation of megakaryocyte and myeloblast lineages; in a recent case at our hospital one of the major manufacturers of EPO products was contacted and performed an assay looking for EPO-specific antibodies. Being a rare condition, there is limited data on how best to treat acquired pure red cell aplasia, but standard practice currently consists of withdrawing EPO and giving a course of immunosuppressive therapy with Cytoxan and prednisone. 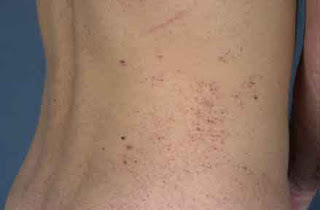 There are other causes of pure red cell aplasia: a genetic condition (Diamond-Blackfan Syndrome) as well as other forms of acquired disease, which include leukemia/lymphoma, viral infection (e.g., hepatitis C, HIV, parvovirus B19), or drugs. It may also be a prodrome to a full-blown myelodysplastic syndrome. The pre-eclampsia story (which I have mentioned previously on this blog) is one of the triumphs of basic nephrology research over the past few years, and apparently the folks at the ASN thought so as well, as Dr. S. Ananth Karumanchi received the Young Investigator Award this year. He gave a very nice overview of this story at his talk. To summarize: most women with pre-eclampsia have high levels of sFlt-1, a VEGF receptor antagonist elaborated by the placenta. When transferred to pregnant rats, purified sFlt-1 recapitulates the thrombotic microangiopathy phenotype, proving that sFlt-1 is not only correlative but also causative. Intriguingly, Dr. Karumanchi presented data showing that routine blood samples from pregnant women several weeks PRIOR to their diagnosis of pre-eclampsia showed elevated sFlt-1 levels. This suggests that an assay for sFlt-1 could well be used for early identification of women who will go on to develop pre-eclampsia. One missing piece to the puzzle, however, was that sFlt-1 injection in rats did not seem to produce any liver pathology. How does one explain the existence of the related HELLP Syndrome (HELLP = hemolysis, elevated liver enzymes, and low platelets) with this supposedly unifying theory for pre-eclampsia? It turns out that another circulating protein produced by the placenta--soluble endoglin--may be responsible for this. Circulating endoglin levels are higher in individuals withi HELLP, and co-njection of both sFlt-1 + soluble endoglin into animals leads to both endothelial and liver damage. The private company CVRx has developed an interesting method under investigation for blood pressure control in highly refractory hypertensive patients. The approach consists of a surgical implant of electrodes at the carotid sinus; stimulation at the sinus results in a baroreceptor reflex which is predicted to decrease blood pressure. While not yet commercially available, a feasibility trial in which 10 patients with refractory hypertension were implanted with such a device showed an average reduction in systolic blood pressure of 41 mmHg with no significant hypotension or major safety issues. The suggestion of surgery to correct high blood pressure is certain to be controversial, but in the future this might be a viable option in selected patients in whom medications are unable to control blood pressure. 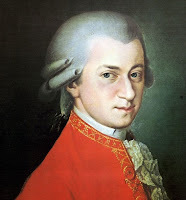 Did Mozart Die of Kidney Disease? What's a picture of Mozart doing on the Renal Fellow Network? Fellow renal fellow Lisa Cohen gave a presentation on nephrotic syndrome at our Renal Grand Rounds and discussed evidence that Mozart, who died at the young age of 35, also had nephrotic syndrome. Consistent amongst the impressive literature trying to determine the cause of the young composer's death are reports of his having massive anasarca at the time of his death. While there are certainly multiple etiologies of anasarca, the fact that he was allegedly able to sing lines from his famous "Requiem" on his deathbed suggests that he was neither encephalopathic nor dyspneic, favoring a renal cause of anasarca rather than a hepatic or cardiac one. Theories of what caused his fatal illness are broad: suggested possibilities include post-streptococcal glomerulonephritis (he apparently had a serious febrile illness as a child), a congenital urinary tract malformation (he had a history of recurrent UTIs and also had an ear malformation--sometimes associated with congenital renal anomalies), Henoch-Schonlein purpura (he had a concurrent rash during his fatal illness), renal tuberculosis (T.B. was a major cause of disease in this era, both pulmonary and otherwise), heavy metal poisoning (there are rumors that his competitor Salieri once admitted to poisoning Mozart out of jealousy), and other primary nephrotic syndromes. Obviously this differential diagnosis is broad and we are unlikely to answer this question definitively, but it is tempting to speculate not only on the nature of his disease, but also on the further musical works he might have written had he been born in the modern era of kidney-aiding medications and renal replacement therapies. This post is complementary to a previous posting on this blog regarding famous individuals with nephrotic syndrome. Identifying the "permeability factor" for patients with FSGS or minimal change disease has been one of the "holy grails" of nephrology, and our inability to identify such a factor has not been for any lack of trying. One of the obstacles in studying this disease is the lack of good animal models to study it. A French group published a 2007 JASN article describing a mouse model of immune-mediated nephrotic syndrome which perhaps gives us some mechanistic insight into the cause of the disease. In this paper, researchers took CD34+ T-cells from humans with steroid-resistant nephrotic syndrome. They then injected these T-cells either (a) intraperitoneally, or (b) intraosseously--that is, directly into the bone marrow. In the case of intraperitoneal injections, the existence of circulating "humanized" T-cells could be demonstrated, but they eventually went away over time as the engraftment was not permanent. These mice did not get proteinuria. 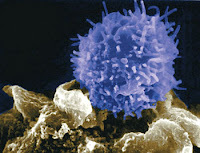 In the case of intraosseous injections, these T-cells could be demonstrated to engraft permanently, albeit at a low frequency. Interestingly, these mice developed significant albuminuria and foot process effacement, suggesting that this could be used as a mouse model of disease. We all know about the p-ANCA and the c-ANCA, which are antibodies against either myeloperoxidase (MPO) or proteinase-3 (PR3), respectively. Now get ready for a 3rd ANCA subtype, an antibody against LAMP-2! In a recent Nature Medicine article by Kain et al, the investigators show that in most patients with the disease focal necrotizing glomerulonephritis FNGN)--a severe form of pauci-immune glomerulonephritis with positive ANCA titers--there are antibodies against an epitope of human LAMP-2. Evidence for its pathogenicity is convincing: when either the patient's antibody OR a designed monoclonal antibody raised against LAMP-2 is injected into rats, they develop glomerulonephritis. Interestingly, the LAMP-2 antigen is highly homologous to a bacterial antigen termed FimH. The authors' hypothesis is that patients who develop bacterial infection with an organism containing FimH develop antibodies against this antigen which are also cross-reactive with LAMP-2, expressed on neutrophils. This is another example of "molecular mimicry" which may also be found in conditions such as rheumatic heart disease. 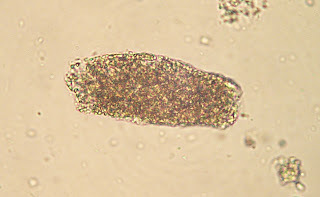 Did you know that there are tiny vesicles in your pee? A 2004 PNAS article by Pisitkun et al demonstrates that this is the case; the vesicles are secreted by tubular epithelial cells at the apical surface and contain numerous membrane proteins, such as (for example) aquaporin. A significant percentage of the proteinuria detected in dipstick analysis is found in these exosomes. 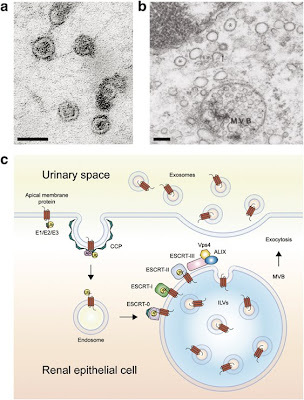 Urinary exosomes are of interest for several reasons, with one potential application being the ability to generate an enriched population of exosomes from human urine, which is being used for the identification of new biomarkers for acute kidney injury. I'm suffering from information overload after my first day at the 2008 ASN in Philadelphia, PA. I attended a series of great talks and have a whole list of possible blog topics in my notebook. For now, I'll briefly discuss one of the central themes of the polycystic kidney disease session; namely, that cyst development occurs in the context of cell proliferation. To back up a bit: PKD1 and PKD 2 are the two main disease genes for autosomal dominant polycystic kidney disease. 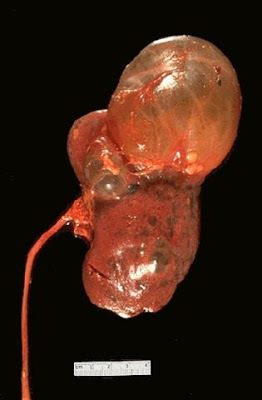 Complete knockout of PKD1 and PKD2 in mice results in massive cystic dilatation at birth. However, we know that human patients with this disease do not usually develop large cyst growth and advanced CKD often into their 5th decades. In order to better duplicate this physiology, researchers have developed "conditional knockout" mice in which the expression of Pkd1 can be switched OFF at various ages of mouse life by injecting it with tamoxifen. It turns out that turning off PKD1 after several months of life leads to much more delayed cyst growth, leading investigators to hypothesize that the reason cyst growth occurs so vigorously in younger kidneys is because the nephrons are still actively proliferating and are therefore "primed" to form cysts. Interestingly, subjecting conditional knockout mouse kidney to hypoxia/ischemia leads once again to more rapid cystogenesis, providing further evidence for the idea that cystogenesis is favored in an environment of rapid proliferation. I'm reporting LIVE from the American Society of Nephrology convention in Philadelphia, PA. I'll be blogging from here as time & internet connectivity permit. The conference starts in earnest tomorrow morning. Also, the combination of either statins plus tacrolimus or fibrates + tacrolimus can cause an increased risk of rhabdomyolysis, so watch out for this. There is also an increased risk for hyperkalemia with the combination of ACE or ARB + tacrolimus. I saw a patient in the renal transplant clinic today for evaluation to get onto the kidney transplant list, as he is just around the corner to starting dialysis (actually, he may actually start tonight since his routine labs came back with a K of 6.9...). 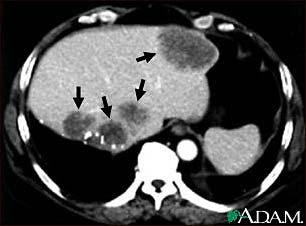 His chronic kidney disease was thought secondary to (a) long-standing hypertension, and (b) a history of bilateral partial nephrectomies for a history of bilateral renal cell carcinomas which were diagnosed about 4 years ago. Given this patient's history of cancer and the possibility of recurrence, should this patient be recommended to go onto the kidney transplant list? How long does he need to wait? Could the administration of immunosuppresant medications really result in decreased immune surveillance of cancer cells which could potentially result in earlier recurrence of metastatic disease? These are all good questions, and there seems to be a relative lack of data. According to one seasoned renal transplant doctor I spoke with today, if there is any increased likelihood of cancer in these patients (other than skin cancers or PTLD), it is likely small and not a reason to postpone transplant; the main reason in his mind for waiting to ensure a lack of cancer recurrence is to minimize the likelihood that the patient would need to undergo toxic chemotherapy or a major surgery which could interfere with the graft function. In addition, there is also the issue of wanting to preserve a scarce resource (donated kidneys) for patients who will benefit from them the longest. Nonetheless, the American Transplant Society (ATS) has come up with a list of guidelines for "waiting times" after being treated for various cancers before one should be considered for kidney transplant. To generalize: breast, colorectal and melanoma cancers have a recommended waiting time of 5 years unless they are early stage; most other cancers (e.g., renal cell cancer, leukemia, lung cancer, prostate cancer, etc) have a waiting time of only 2 years. Non-melanoma skin cancers (basal cell, squamous cell) are generally not a reason for delaying kidney transplant as they are generally treatable. The term "Middle Molecules" is a little confusing, in part due to its evolving definition. 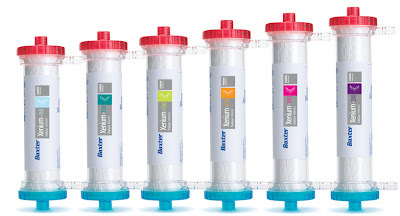 It was initially used to describe anything not dialyzed off by the older dialyzer membranes of the 1970s, which predominantly filtered out only small, water-soluble molecules such as potassium, for example. The advent of newer, "high-flux" dialyzers has enabled the removal of higher molecular weight species, but to a variable degree. The European Uremic Toxin Work Group has defined the term middle molecule to be between 500 Daltons - 60 kD. There is still a strong thought that as-yet-unidentified unfiltered middle molecules may be a major reason for the unusually high cardiovascular mortality rate of ESRD patients. BUN (0.06 kD). Obviously, not a middle molecule; small, cleared rapidly. Creatinine (0.113kD). Same as BUN: cleared rapidly. Vitamin B12 (1.355 kD). A middle molecule of lower MW which is cleared by most modern dialyzers. B2-microglobulin (11.8kD). One of the few middle molecules whose accumulation has been shown to be associated with a real medical condition: b2-amyloidosis. Newer generation dialyzers provide good clearance of b2-microglobulin and have made the clinical entity of b2-amyloidosis much more rare. light chain (25kD). Light chains are small enough to get dialyzed--providing some rationale for dialyzing patients with paraproteinemias (though the clinical evidence for this being effective is not very good). albumin (66kD). 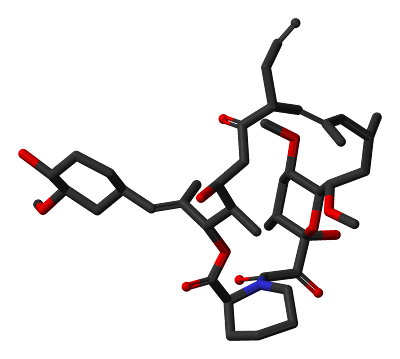 Albumin is not a middle molecule--it is not appreciably dialyzed off, nor would it be desirable to do so. (1) the CREST syndrome, a localized form of the disease in which the kidney is NOT typically involved. This variant is typically anti-centromere antibody-positive. Hearkening back to your internal medicine days, you will recall that "CREST" stands for "Calcinosis, Reynaud's phenomenon, Esophageal dysmotility, Sclerodactyly, and Telangiectasias." 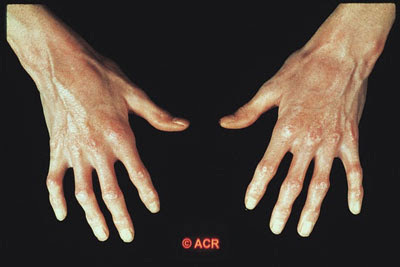 (2) Diffuse scleroderma, which is the type that may result in hypertension and renal involvement. These patients are more likely to be anti-SCL70 antibody-positive. The term "scleroderma renal crisis" is used to describe scleroderma patients with aggressively accelerating hypertension which may even result in renal failure. 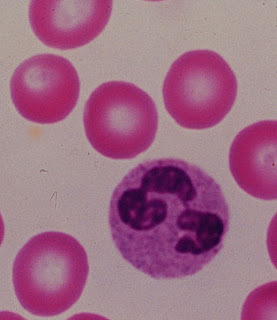 The mechanism of disease is a thrombotic microangiopathy, and urinalysis is generally bland. The mainstay of therapy for scleroderma renal crisis is blockade of the renin-angiotensin system.